CU-Boulder main campus, west end of Stadium Dr. This expansive, modern facility is open to members, including CU students, faculty, staff and alumni. Family and spouse memberships are available, as are daily guest passes. 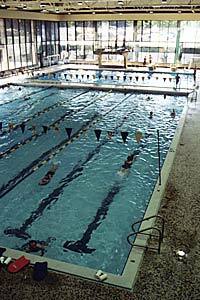 The Rec Center features swimming pools, an ice arena and a cardio/weight room, plus facilities for many other sports and recreational pursuits. Intramurals, instruction, club sports, outdoor programs and childcare are available.